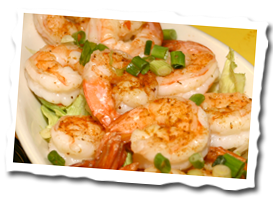 The Gulf of Mexico’s bounty guarantees that Panama City Beach restaurants have the freshest seafood available. Tasty choices of fish and shellfish include grouper, snapper, scamp, pompano, amberjack, flounder, tuna, salmon, shrimp, scallops, oysters, crab, lobster, crawfish and many more. Area chefs are creative in their preparation and presentations. All provide memorable dining experiences. Char-grilled grouper topped with sautéed crabmeat and Hollandaise sauce, snapper grilled over mesquite hardwood and charcoal, blackened tuna flavored with piquant spices, Grecian style pompano and Cajun crawfish are a sampling of Panama City Beach’s delicious fresh seafood dishes. Seafood prevails, but meat and potato lovers find plenty of delicious fare here too. Beef is offered so tender you can cut it with a butter knife, and chicken is prepared in many creative ways. Italian and Cajun dishes are also specialties for which area chefs are famous for. 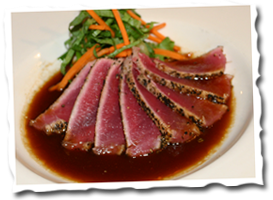 Panama City Beach has several award-winning establishments where the food is fabulous and the wine lists are extensive. There is an array of colorful eateries and oyster bars which compete with elegant restaurants.